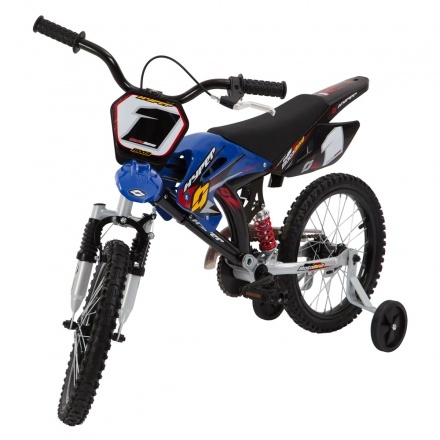 Juniors Motobike Bicycle | Blue | It features a height-adjustable padded seat for comfort. 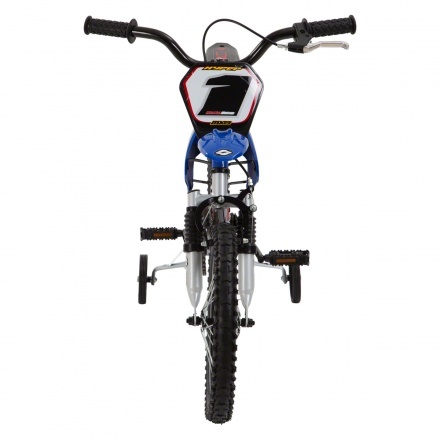 Designed to impress, this Motobike bicycle will make your kid jump with joy. Sporting a bike-like shape, this bicycle has powerful suspensions for added comfort. Feature 1 : It features a height-adjustable padded seat for comfort. Feature 3 : It is easy to assemble. Feature 2 : It has wide training wheels for stability.